Last year, pent-up housing demand and limited inventory sucked many home buyers into a bidding war frenzy that drove up home values and gave us the best-performing real estate market in several years. Statistics show that home inventory is starting to shrink. The days of multiple offers have returned and new construction is back. All of these things indicate that home buyers need a strategy when they find that “dream house” of how to successfully get the seller to take their offer. Here are three simple strategies that can help you stand out above the rest. When you’re caught up in a bidding war, it’s easy to let your emotions take over. That’s why it’s best to let a third-party professional, your Realtor, handle the negotiations for you. An experienced agent brings a level head to the table and can help you strike a balance between deal-breaking demands and budget-busting bids. Look for a real estate agent who has a full time business, experience, is an expert in the area you are buying in and understands the importance of communication. If you need to move quickly on a home you’re interested in, you don’t want to be left out in the cold because you couldn’t get in touch with your agent. When it comes to buying a home, Sellers love a buyer who doesn’t waste time closing the deal. According to the National Association of Realtors, 13% of recent home sales fell through because the buyer couldn’t get financing. An all-cash offer makes the decision easy for the seller because it eliminates any mortgage-related guesswork. If you need to get a mortgage, complete the pre-approval process with your lender before you start house-hunting. Unlike a pre-qualification—a loose estimate based on speculation—a pre-approval gives you a specific loan amount the bank has approved for you. This keeps you from shopping out of your price range and allows you to make an instant offer when you find that perfect home. If you really want to gain an edge, put yourself in the Seller’s shoes. What’s motivating them to sell? Try to find out more about their life in that home and find ways to connect. In the situation of relocation time may be of the essence for them to move, offer them a short term to close. Are the Seller’s downsizing and leaving their family home? If so this is emotional for them as well. Assure them you want this to be your family home not a flip. One strategy that’s gained popularity among recent home buyers is the personal letter. Next time you’re facing a multi-bid situation, why not share your heartfelt vision for the home? Sometimes, a Seller just wants to know the place they raised their family will be filled with just as much love by the next owner. It’s worth a shot to make your dream home a reality! Real Estate Myths or Facts? Now that the real estate market is significantly bounding, buyers and sellers are back looking for deals. They come into the market with assumptions about how the real estate market works. Real estate seasons used to be based on the summer and the end of the school year. Families were the typical buyers or sellers, and they wanted to move during the summer so their kids could start anew in their new school. That’s how spring became the prime selling season because buyers typically take 3 – 4 months to purchase from the time they start looking. There are still more homes for sale in the spring, but, that is not necessarily the best time to sell a home anymore. Today, more than half of buyers aren’t married, so their decisions aren’t based upon school schedules. So spring isn’t as relevant as it used to be. Instead, the best time to sell a home is in November, December, January and February. The real estate market is your typical supply and demand economic theory. 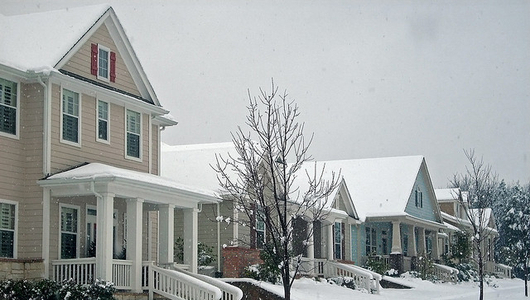 Most sellers assume buyers aren’t seriously looking during the winter. There are fewer homes on the market in the winter so buyers have to hunt harder to find the home of their dreams. It is a sellers paradise season to sell their home. Once you’ve finally found that perfect house, the inclination is to think you won’t find another that you like nearly as much. Be very careful here and don’t let your heart overrule your financial capabilities. Just because you can get a loan for a certain amount doesn’t necessary mean you should. If something doesn’t feel right or the price is too high, don’t be afraid to wait for the next one. As long as you have realistic goals, no house will ever be truly one of a kind. Every house has different strength and weaknesses. If you cannot afford it or it does not met your “must have” attributes, keep looking. We highly recommend going to a lender first to get pre-approved so you will know how much house you can afford and that you have the ability to purchase. With the recent housing bubble came a wave of lending restrictions and loan tightening. Most people assume that they have to have stellar credit to get a loan these days, but that’s not always the case. Lenders are often willing to work with buyers who have less-than-perfect credit. If you’re concerned about your credit, you may want schedule an appointment with a lender and find out the status of your credit and if it is not up to par they can assist you with ways to improve your credit score. This is a step that is commonly skipped before you buyer enter the real estate house hunting process. 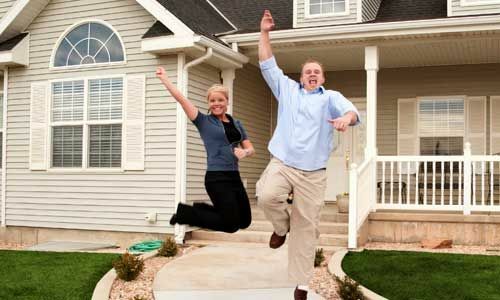 It is true that people with higher credit scores are offered the lowest interest rates on mortgages. There is no tried and true strategy for making an offer on a home. The best thing you can do is hire a full time seasoned Realtor to assist you with this process. The seller could have overpriced or underpriced the home on purpose. Most buyers assume a full price offer is just nonsense. But times have changed. A buyer in a seller’s market (when there are fewer houses on the market or in a particular price point than buyers) today are wasting their time making low offers right from the start. It’s likely a home that’s priced right and shows well can receive multiple offers, sometimes even over the asking price. It is also possible you will offend the seller and they will refuse to sell you the house. Again, choose a Realtor that is familiar with the market you are looking to buy in that is knowledgeable. They will assist you in putting together a fair offer that will get you into your dream house vs writing offer after offer after offer. Consider a seller with a home priced at $250,000. The seller receives two offers: One is a cash offer of $225,000. The other is an offer for the full asking price, with 25 percent down, a bank pre-approval letter and swift contingency periods. A good buyer’s agent when learning their client is competing with a cash offer will arm the listing agent with financial data supporting their client’s finances, such as a credit report and verification of income or assets. The agent might even arrange a call between the seller and buyer lender. Cash is not always king. The bottom line is. So you have found the home of your dreams and now it is time to make an offer. How do you know what a “good offer” is on the property? Many people think of how much money to offer for the property. However another important thing to consider is the terms of the offer. In some cases, terms can represent thousands of dollars in additional value for buyers — or additional costs. Terms are extremely important and should be carefully discussed with your Realtor. You sometimes hear that the amount of your offer should be a certain percent below the seller’s asking price or an amount less than you’re really willing to pay. In practice, the offer depends on the basic laws of supply and demand: If many buyers are competing for homes, then sellers will likely get full-price offers and sometimes more. If demand is weak, then offers below the asking price may be in order. In a typical situation, you will complete a contract with your Realtor and he or she will present to the owner and the owner’s representative. The owner, in turn, may accept the offer, reject it or make a counter-offer. Because counter-offers are common (any change in an offer can be considered a counter-offer), it’s important for buyers to remain in close contact with their Realtor during the negotiation process so that any proposed changes can be quickly reviewed. 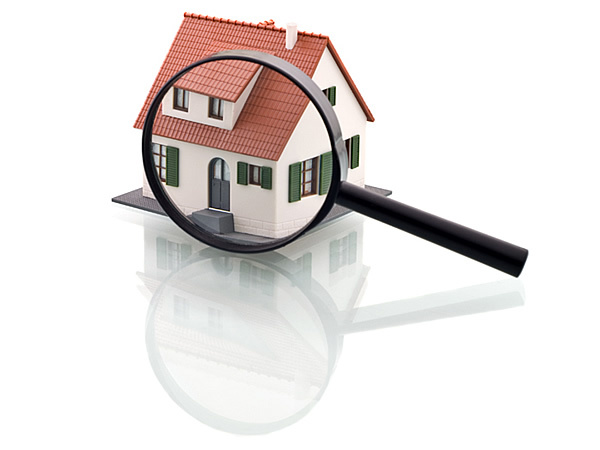 A number of inspections are common in residential realty transactions. They include checks for termites, appraisals to determine value for lenders, title reviews and home inspections. Home inspections are particularly important. During these examinations, an inspector comes to the property to determine if there are material physical defects and whether expensive repairs and replacements are likely. Some home structure issues must be fixed before the contract can go forward. Other cosmetic issues are up for negotiation. These conditions change from state to state. Inspections usually take two or three hours, and buyers should attend. This is an opportunity to examine the property in detail, ask questions and learn far more about the property than is possible with an informal walk-through. It is always to your benefit to choose your Realtor carefully. Interview several before choosing the Realtor that fits your needs. Purchasing a home in many cases is the biggest financial decision you will make. Your Realtor can assist you through this whole process and bring you to the closing table to get the keys to your new home. It is safe to say that the place to be is in the sunny South yet again, South Carolina was ranked #2 place people relocated to and North Carolina #3 . Oregon had the highest percentage of people moving in, while New Jersey once again saw more people moving away. The 37th Annual Migration Study, which tracks the states the company’s customers move to and from during the course of the year, found that 61 percent of Oregon moves were inbound. South Carolina and North Carolina followed in second and third place, with 60 percent and 58 percent of moves, respectively, being inbound. On the flip side, the Garden State led the list of outbound migration states for the third time in the last four years, with 64 percent of moves going bye-bye. Illinois continued to share in the exodus experience, finishing in the number two spot for the second straight year with 61 percent of moves headed elsewhere. Michigan finally had good news from the study. After 16 consecutive years at or near the top of the outbound list, the Great Lakes State appeared in the “balanced” category for 2013, with roughly the same number of people moving in as moving out. Several states gained approximately the same number of residents as they lost. 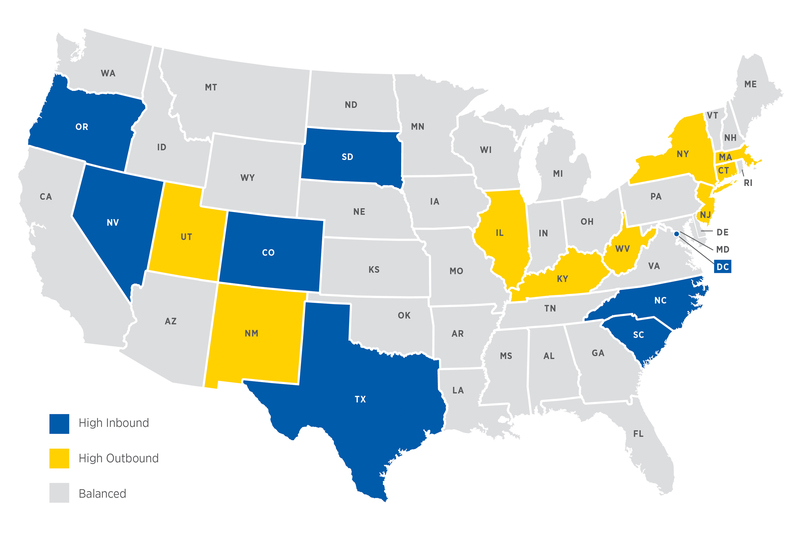 Those states include Nebraska, Tennessee, Iowa, Alabama, Louisiana, Indiana and Michigan. With temperatures today colder than the freezer if you haven’t taken time to make precautions for the winter I would say now is definitely the time. Getting your home ready for winter storm season entails more than insulating pipes and re-caulking doors and windows. Create an emergency kit. Keep a list of supplies in case you and your family aren’t able to leave the house during a winter storm or other disaster. In the case family members are separated from one another during a winter storm (a real possibility during the day when adults are at work and children are in school), have a plan for getting back together. Teach children how and when to call 9-1-1, the police or fire department. Winter storm watch—Be alert, a storm is likely. Winter storm warning—Take action, the storm is in or entering the area. Winter weather advisory—Winter weather conditions are expected to cause significant inconveniences and may be hazardous, especially to motorists. Frost/freeze warning—Below freezing temperatures are expected and may cause damage to plants, crops, or fruit trees. Flash flood or flood watch—Be alert to signs of flash flooding and be ready to evacuate on a moment’s notice. Flash flood warning—A flash flood is imminent–act quickly to save yourself because you may have only seconds. Flood warning—Flooding has been reported or is imminent–take necessary precautions at once. Make sure you have sufficient heat. Because regular fuel sources can be cut off during a severe storm, have safe heating equipment available. If you have a fireplace, make sure you have a supply of dry seasoned wood enough to last several days. Small wood, propane, kerosene heaters or even a camp stove can also be used for warmth, just make sure it is well-ventilated. Keep pipes from freezing. Know how to shut off water valves. To protect pipes, wrap them in insulation or layers or old newspaper; cover the newspaper with plastic to keep out moisture. Let faucets drip a little to avoid freezing. Be prepared to help others. Check on elderly or disabled friends, relatives, neighbors or fellow employees. A friendly call to check on those in your community means the world to those around you. By preparing ahead of time, you can make good decisions and take action during a emergency. 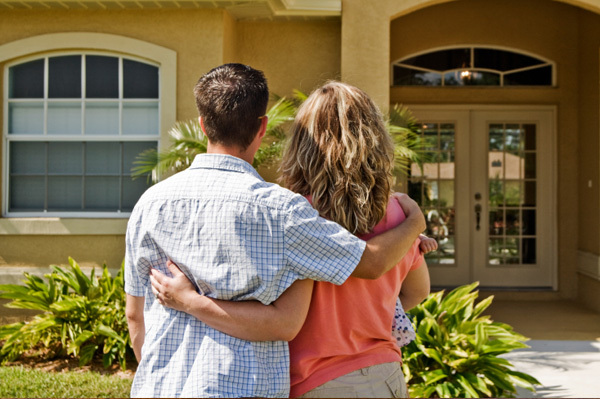 What Will Home Buying Bring in 2014? The year 2014 will be a type of test market for the mortgage industry, 2014 is forecasted to bring a rise in rates and new lending rules that are likely to reshape the process of acquiring a mortgage. Many home experts recommend buying a home early in 2014 rather than later. 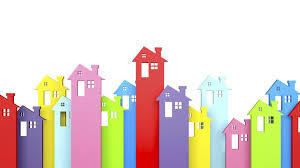 One thing for sure the housing market is on the rebound in numerous areas of the country. It is forecasted that homes will continue to appreciate in value. Buyers time to take advantage purchasing a home for many reasons one, before the market turns into a sellers market. Internet sources name the key reasons for buying real estate earlier than later in the year 2014. Among them the fact that rates are already up one to 2% over last year, and it’s still possible to grab a 30-year, FRM at 4.5%, according to lenders cited by HomeFinder. New lending rules, including the qualified mortgage definition, will shift debt-to-income ratio requirements higher, potentially making it more difficult to buy a property, the report claims. This holiday season in our area sales have been steady. With inventory starting to shrink this will be good for sellers by bringing back more negotiation power to them.